Developers Supermassive Games premiered more gameplay from their 2015 PS4 Exclusive Until Dawn during EGX London 2014. 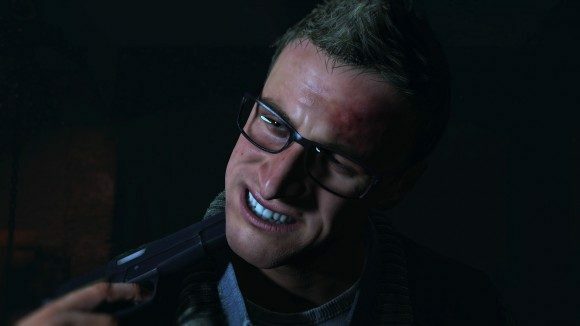 Until Dawn is a game that has been hovering around the peripheral vision of much of the game industry for a couple of years now. First revealed for the PS3, the game has made a resurgence over the last couple of months with its Gamescom and EGX London reveals. Now a PS4 exclusive, the game takes a heavy dose of narrative driven titles like Heavy Rain or Indigo Prophecy and adds elements of the Saw and Texas Chainsaw Massacre films to give players an interactive horror experience like no other. At least, that is what the developers are hoping for. One of the biggest elements the devs are trying to push in their talks about the game is the massive network of interconnected choices that any of the 8 playable characters can make, every one of which has the potential to change not only their story, but every other character’s as well. Games like The Walking Dead have attempted this kind of detail before, but never on the massive AAA scale that Until Dawn is aiming for. With professional voice acting and hundreds of choices in the game, it’s hard to get a grasp of what all this means without seeing the game first-hand, which is exactly what Supermassive Games decided to show. What the EGX London 2014 footage shows is a game with a lot of potential. There are obviously still some rough spots in the presentation, with some of the animations being robotic and jerky enough to distract from the game’s atmosphere, but what the Until Dawn team has done with the Killzone: Shadow Fall engine is impressive. Until Dawn is yet to have a solid release date announced, though all evidence points to some time in 2015. Once it does come out, if it lives up to its hype and potential it could be just what the floundering horror genre needs to pick itself back up establish a new direction.